The collaboration Shirts made by the team up between JoJo’s Bizarre Adventures: Golden Wind and glamb! Size options include 5 sizes from (XS) to (XL). 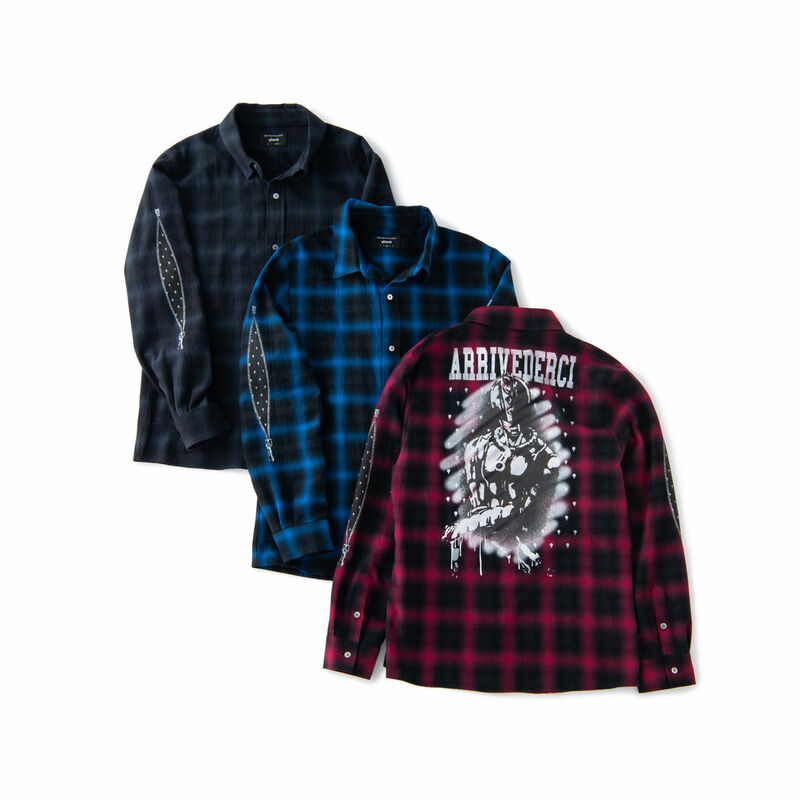 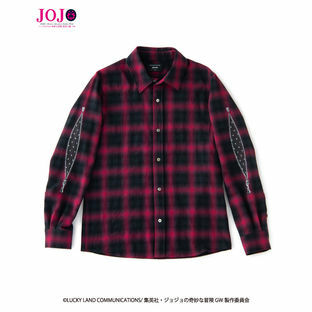 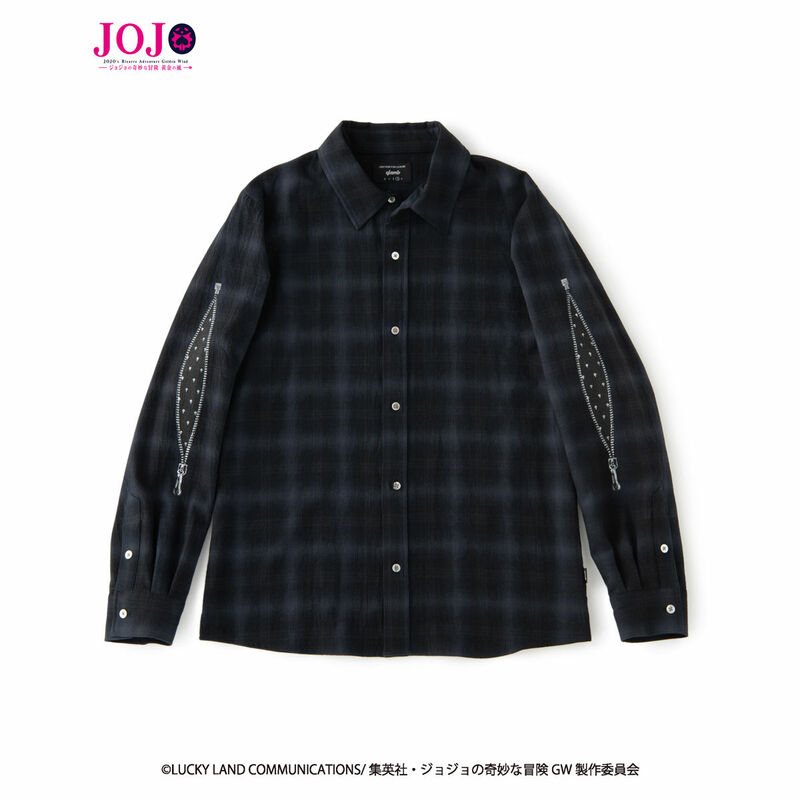 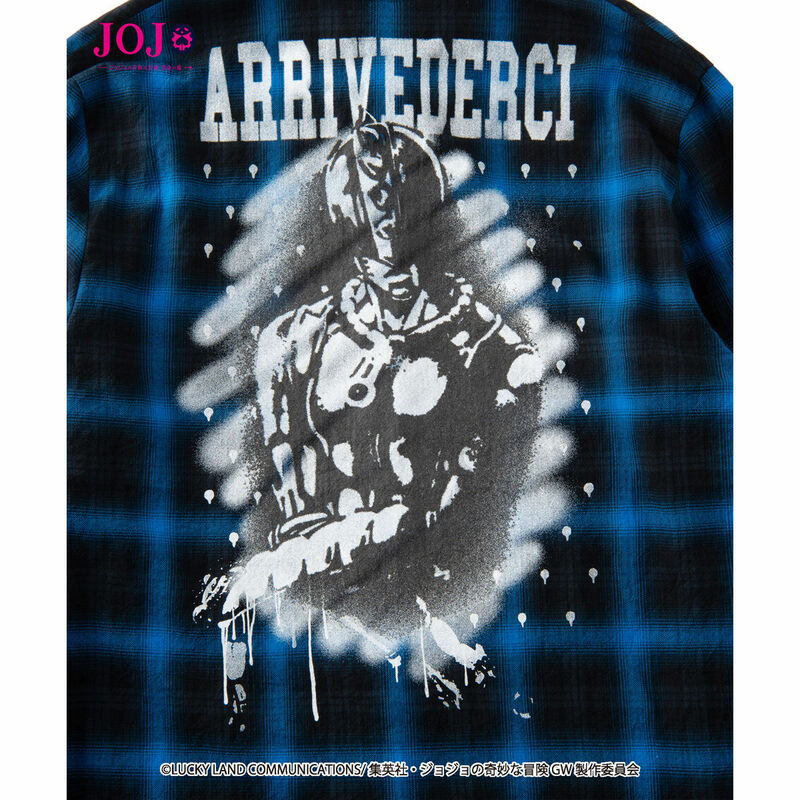 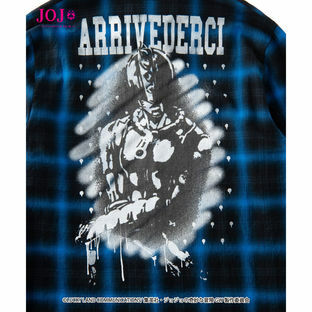 Drop shoulder check shirts, a necessity item for street fashion, meets JoJo. This shirt is based on the motif of Bruno Bucciarati's Stand, Zipper Man. 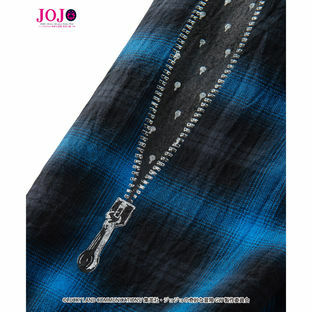 Drawn on the zipper attached to the arms is a masterful piece of trick art where it's as if there's actually an open space there inside the zipper. 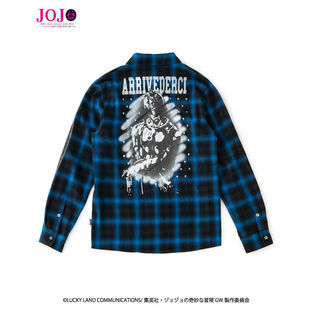 On the back of the shirt, there is a figure of the Stand drawn through a roguish graffiti style, lending a vigorous and powerful element to the work. Both designs contain elements inspired by the design of the suit Bucciarati wore in the original works, further bringing out the themes of Bucciarati’s character. 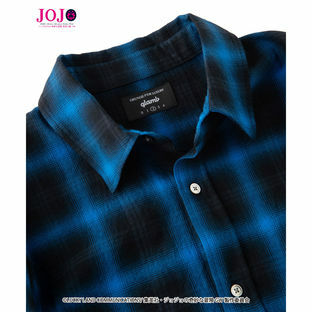 The cloth is extremely flexible and stretchy, which makes it easy to get well dressed in this shirt.